University of Malaya Address And Course. 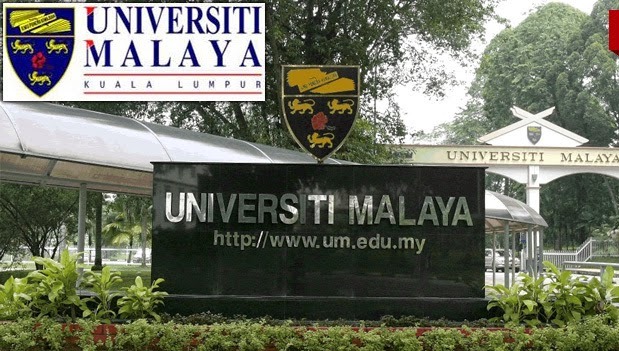 The University of Malaya is a public research university located in Kuala Lumpur, Malaysia. It is the oldest and most esteemed university in Malaysia. The university's name was abbreviated as Malaya during the pre-independence period. The university was founded in 1949 as a public-funded tertiary institution. Today, it has more than 2,500 faculty members. In 2012, UM was granted autonomy status by the Ministry of Higher Education. In 2011, UM was ranked 401-500 in the Shanghai Jiao Tong University’s 2011 Academic Ranking of World Universities (ARWU).And the THES – QS World University Rankings has ranked UM in the top 200 universities of the world. To be an internationally renowned institution of higher learning in research, innovation, publication and teaching. To advance knowledge and learning through quality research and education for the nation and for humanity. Quality Policy of the University of Malaya: The University of Malaya intends to undertake teaching and learning, conduct research and services of quality, generate and advance knowledge through continuous improvement efforts for the benefit of all customers, in particular the students of the University of Malaya. 1. Demonstrate knowledge and skills in their field of study, appropriate research and professional practices, and the processes of critical thinking, creative thinking, and problem solving. 2. Use effective methods including contemporary technology to manage information, to achieve diverse professional goals aligned with professional standards and make decisions based on appropriate data and information. 3. Engage in continuous self-improvement and professional growth, support the professional development of others, and display positive leadership and professional behaviors and disposition for effective practice. 4. Communicate effectively with other professionals, and the community, and project a coherent vision of social responsibilities. 5. Appreciate and continue to be guided by the university's core values of integrity, respect, academic freedom, open-mindedness, accountability, professionalism, meritocracy, teamwork, creativity and social responsibility. Have a general question about University of Malaya? We hope this information about University of Malaya address and course is useful to you. We wish you all the best on your application for admission into this best university in Malaysia.